There was a time and place when bison freely roamed throughout North America. Native tribes relied upon the creatures for food and clothing, while settlers used them for their food and hides to support their families. 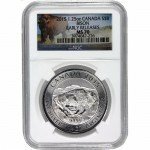 The Royal Canadian Mint has a new coin honoring the majestic creatures with the release of the 2015 1.25 oz $8 Silver Canadian Bison coin. Today, you can buy one of these coins from the First Strike collection with an MS70 grade from PCGS. 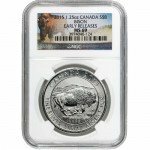 Bison coins are not new to the Royal Canadian Mint. 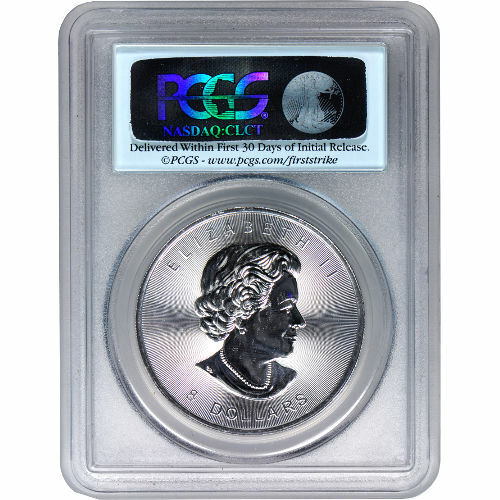 The animal has featured on previous coin series released by the Mint, but this coin comes with new features that make it unique from predecessors. 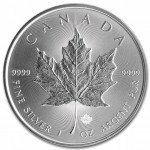 In addition to a new reverse design and enhanced security features, this coin is the first silver bullion coin of its size from the Royal Canadian Mint. The radial lines integrated around the rim on both sides of the coin are machined with micron-level precision to help combat counterfeiting of the coins. The Professional Coin Grading Service gives these particular coins a grade of MS70, meaning they are considered perfect mints. 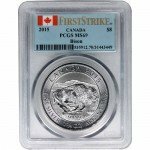 First Strike coins were received by PCGS within the first 30 days of the coin’s release. 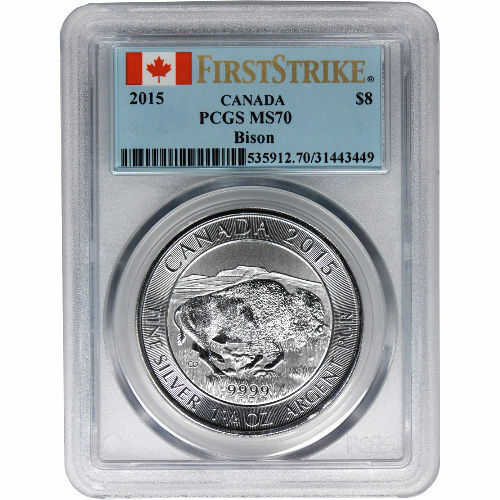 On the reverse side of the 2015 1.25 oz $8 Silver Canadian Bison coin is the image of a lone bison rumbling through the open plains of Canada. Visible in the background are some low, rolling hills. Engravings include “Canada 2015,” as well as the weight, purity, and metal content of the coin. Susana Blunt’s third iteration of Queen Elizabeth II’s right-profile portrait is featured on the obverse side. Her Majesty’s image is encircled by engravings that include “Elizabeth II” and the face value, in Canadian dollars, of the coin. The Royal Canadian Mint has served the nation for more than 100 years. Established in 1908, the mint operates two facilities in Winnipeg and Ottawa. Originally opened to process gold from the Yukon Territories, the Royal Canadian Mint is a state-of-the-art facility that is internationally renowned for quality and innovation. Silver.com is dedicated to customer service and wants you to be happy with each purchase. Feel free to call our associates at 888-989-7223, or contact us online via our live web chat, to get all your questions answered.